Companies make millions every year by manufacturing patented items, but before the first dollar of profit is made, the manufacturer must secure rights to the patents themselves. The manufacturer must either develop and patent the items or buy rights to existing patents. Finding patents that fit the manufacturer's need is critical. Once identified, the seller and buyer must transfer the patent rights and register the sale with the U.S. Patent and Trademark Office. Choose the patent to purchase by reviewing current and back issues of the U.S. Patent and Trademark Office Official Gazette, a weekly publication announcing newly issued patents. Individual announcements include patent rights owner contact information and a basic schematic of the patented invention. Contact the patent owner, ask if she is willing to sell her rights in the invention and negotiate terms for the purchase. Browse patent auction house listings, either in hard copy or online if a suitable patent isn't available directly from the inventor through the Gazette. Identify the patent you want to buy and study the auction procedures for the particular auction house holding the rights. Begin bidding for the patent according to the rules of the house. As an alternative to finding patents through the Gazette or auction houses, contact attorney members of the American Intellectual Property Law Association and inquire about patents that fit your needs. AIPLA members represent patent right owners as part of their practice and often know of patents available for sale or owners who might be willing to sell. If you reach attorneys who do not have this information, ask for referrals to colleagues who might. Draft a sales contract, or conveyance, for the patent. 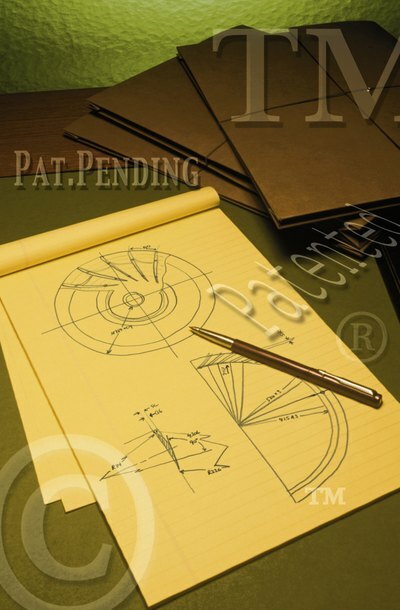 Describe the patent in a way that adequately identifies the specific patent being transferred. Include all sales terms, including purchase price, terms and date of payment, and the date of transfer of rights from seller to buyer. Alternatively, retain a patent attorney to draft the sales contract or use a pre-printed form available from an online legal document provider. Sign, or execute, the conveyance in the presence of a notary public. Both seller and buyer should sign in the presence of the notary and in the presence of each other to ensure proper notarization of the document. File the notarized conveyance with the U.S. Patent and Trademark Office within three months of its execution. As with a mortgage on real estate, filing the conveyance makes the transfer of rights public record. A trademark is a brand name. The brand can include a word, a symbol, a device or a combination of those elements. A trademark becomes valuable when consumers associate the brand with certain goods or services. Trademarks can be sold and transferred from one owner to another through a process known as assignment. The process involves creating an assignment agreement and recording the agreement with the U.S. Patent and Trademark Office.